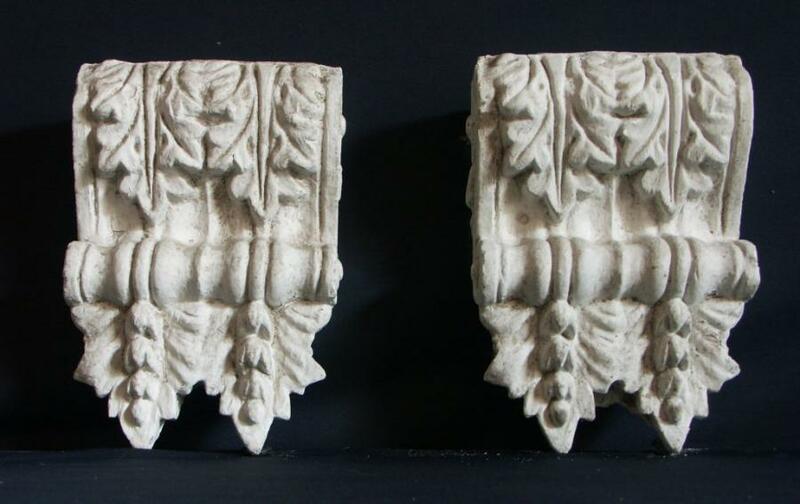 A pair of victorian scrolled floral plaster corbels. Complete.In inches, 13.25 high by 9 wide by 4 max deep. 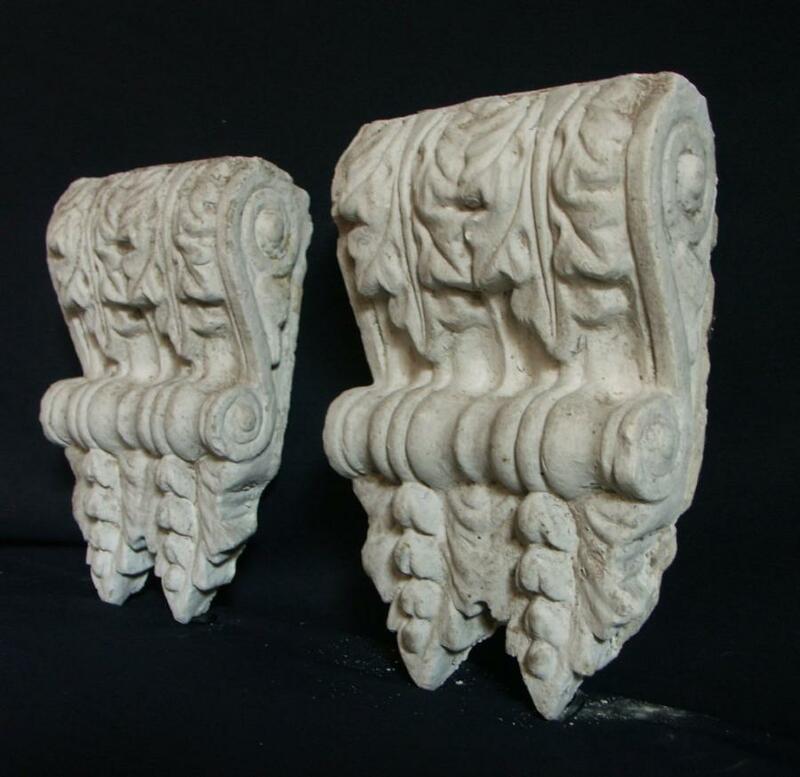 Possibly from a Victorian hallway where they are commonly seen.These could be used as a replacement or as brackets with an appropriate shelf perhaps above a firplace opening instead of a fireplace surround.